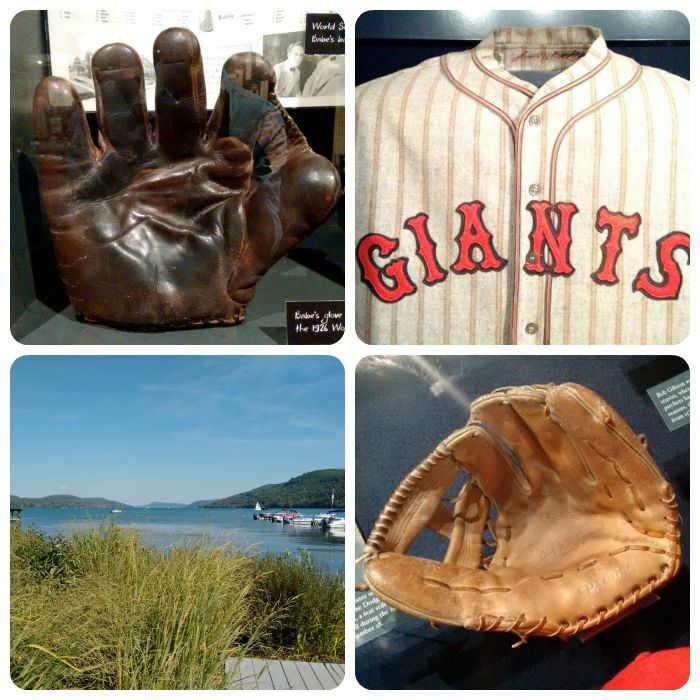 In Cooperstown for the first time, on a beautiful early-Fall weekend, I was able to get a firsthand look at gloves and mitts worn by many of the game's greats. Satchell statue, Gehrig's glove, Ty Cobb's shoes, and looks like they've been painting baseball equipment since the 1850s! Searching books and online just doesn't compare to seeing items in person, especially when I'm looking to accurately depict uniforms and shoes, etc. Ruth's glove, McGraw's Giants uniform, Lakeside Cooperstown, Bob Gibson's glove (which, interestingly, is a Carl Yastrzemski model glove!). Also, being able to know what glove a player used helps me to more accurately know which type I should look for when it comes time to portray that player on a glove. Pirates '79 hat, Willie Mays' glove he made 'The Catch' with, Brooks Robinson glove, and a blast from my past -- pinwheel from old Comiskey Park scoreboard. 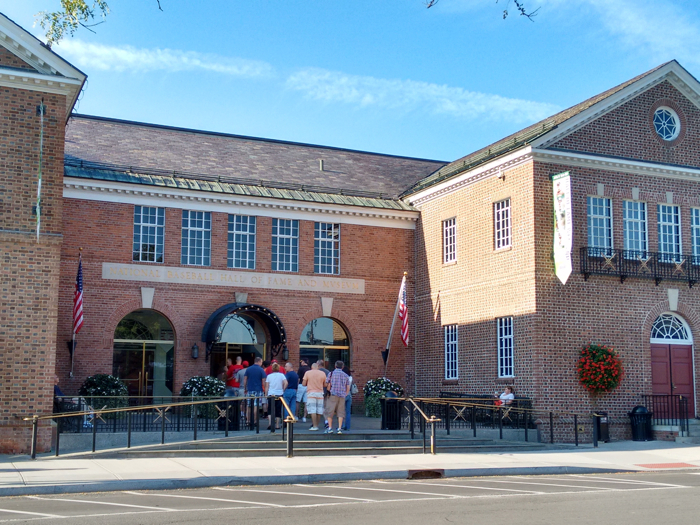 While at the Baseball Hall of Fame and Museum, I also had the good fortune to also meet a group of new friends, Roberto Clemente enthusiasts from around the country gathering for an event featuring former Mets' pitcher and Rookie of the Year, Jon Matlack. Shop selling gloves, Al Simmons' hat, Aparicio's '70 uniform, and the glove Yogi Berra used to catch Don Larsen's perfect game in the World Series, which looks like it had a few trips to the seamstress during the season. Will look forward to future trips to Cooperstown and researching the game!